We had our first "Coffee Talk" visit of the season with Patience. We went to the Lobster House Breakfast Counter for some delicious French Toast. We packed up and were headed home - with a slight detour. Eurasian Tree Sparrows are very similar to European House Sparrows. They look alike and they came to America in similar ways. The European House Sparrow has spread EVERYWHERE while the Eurasian Tree Sparrow only populates a small area in St. Louis Missouri. 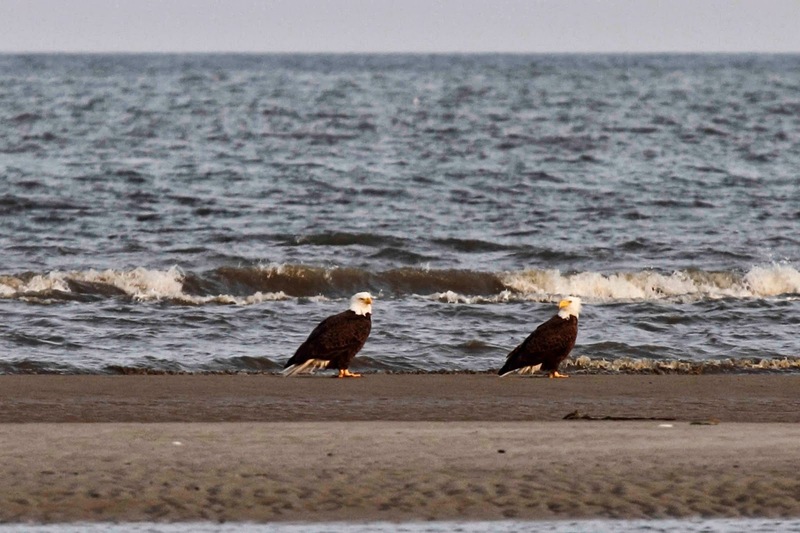 I don't know how this bird got to Cape May, but needless to say it was a big deal as you can see by this photo. All of that to see this little guy. 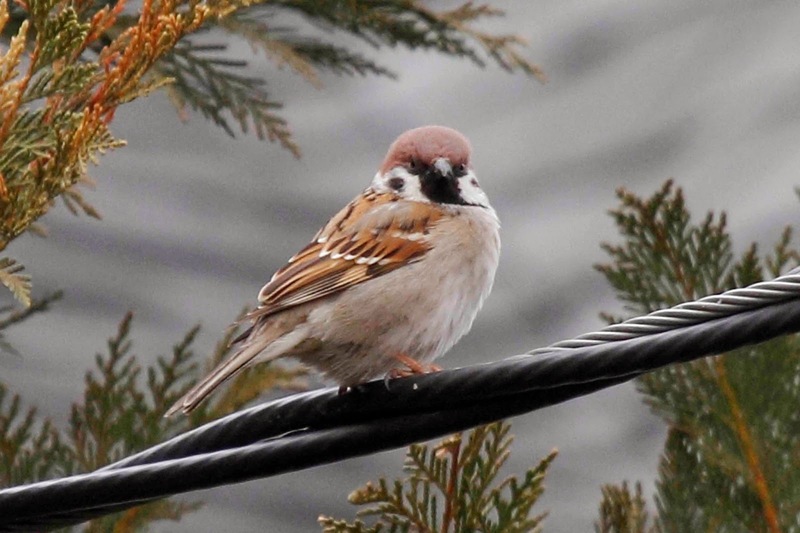 You can differentiate the Eurasian Tree Sparrow from House Sparrow by the black cheek patches and brighter head color. While we were there, another Cape May rarity flew in just a few feet away from me. Black-capped Chickadee. I know what you are thinking - "that's not rare". 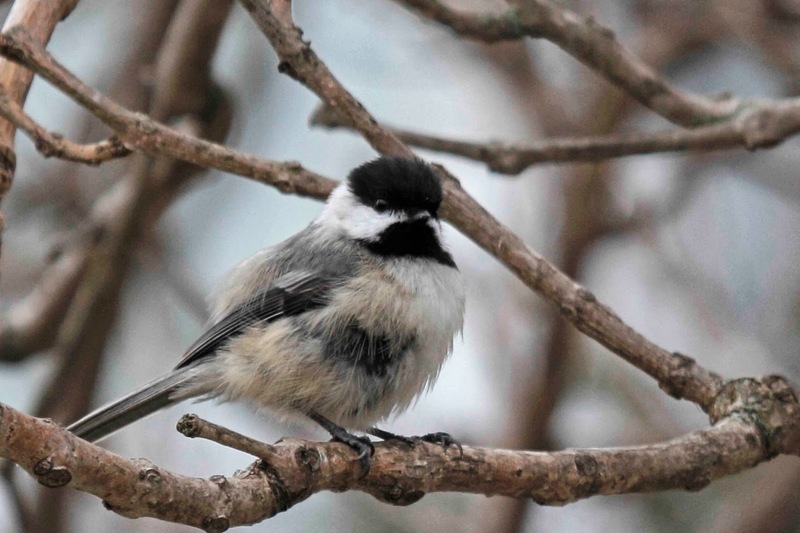 But it is rare in Cape May which only gets Carolina Chickadees. The Black-capped variety has a more northern range starting at about Hawk Mountain. This little guy has something weird on his belly, but you can tell he is Black-capped by the white streaking on the wings. I'm glad he survived the winter with that belly issue and hope he goes back to where ever he belongs - along with his Eurasian friend.